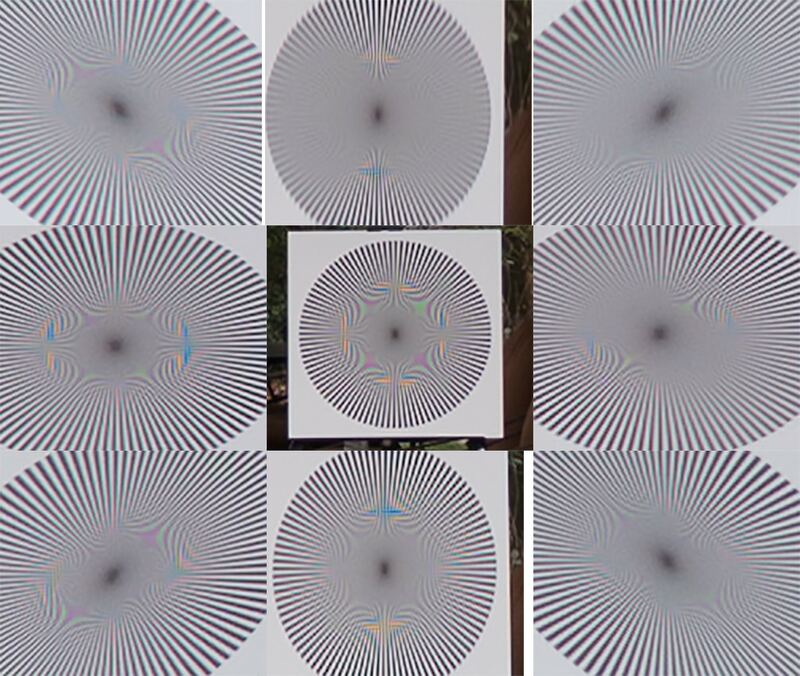 There is astigmatism in the top, top-right, and right images. It’s not extreme, though. I’d say that this lens would be acceptable for most photographic purposes, and marginal for some, like landscapes.